Availability and sustainable management of water and sanitation, one of the sustainable developmental goals, is closely related to other issues such as poverty, war, urbanization, rapid population growth, and lack of infrastructures. Afghanistan, as a post-conflict country, is facing difficulties in securing a reliable drinking water. 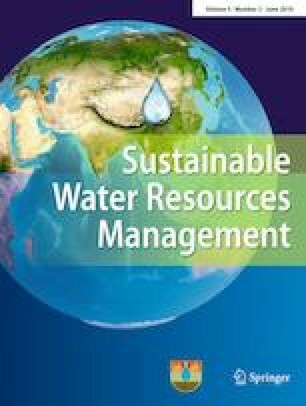 This study aimed to assess the household water resource in Kabul and to understand the relationship with other issues such as sewage system, income level, lifestyle changes, rapid population growth for developing a sustainable water-resource management. An extensive questionnaire survey, interview, and water-quality survey were conducted. Groundwater was the main drinking-water source. Merely 12% of Kabul’s residents had access to public water supply system. Fifty percent of households, especially those with low income, relied on private wells. The groundwater level dropped during the past decade in most areas of Kabul due to rapid population growth and lifestyle changes forcing some households to find new water source. Groundwater showed high concentration of nitrate in some places. Sewage system was also poor. Only 20% of households, especially those with higher income, were connected to wastewater treatment system or used toilets with storage tank. Others used cesspit and dry toilets. Cesspits replaced dry toilets in the past decade due to lifestyle changes, rapid population growth, and unplanned urbanization. Lack of wastewater treatment and the change in toilet type may have caused groundwater pollution. Kabul urgently must find additional water sources and protect its drinking water from pollution by establishing a wastewater treatment system considering socio-economic factors. The online version of this article ( https://doi.org/10.1007/s40899-019-00312-7) contains supplementary material, which is available to authorized users. We thank Prof. Nobukazu Nakagoshi for his valuable comments. The study was financially supported by the Japan International Cooperation Agency (JICA). This research contributes to the Global Land Program (https://glp.earth/).